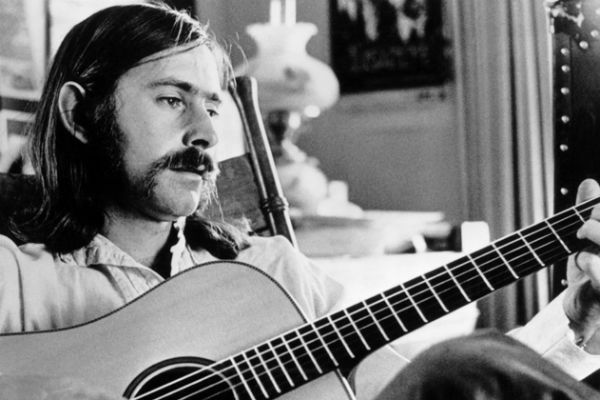 If you’ve always thought Norman Greenbaum’s 1969 hit “Spirit In The Sky” had an immaculate heavenly conception, you’d only be about half right. The actual inspiration came from cowboys and Indians, Porter Wagoner and a fictional preacher. However, it wasn’t the subject matter or the tone that got him the most mail, but part of the lyric. “I’ve never been a sinner/I’ve never sinned” is what got some of the Christian right howling. And then there’s the over the top psychedelic makeover by England’s Dr. And the Medics that hit number 1 in ’86 on the English rock charts with frontman Clive Jackson in Kabuki makeup looking like a ghoulish version of KISS. His song has been featured in more than 50 movies, 15 commercials and several TV shows. “It was a one hit wonder,” Greenbaum says. “Everything kind of fell apart after that, years passed. I played for a long time, then I couldn’t even do that anymore, it was just too weird. Then all of a sudden it got in a movie then it got into another movie, then a commercial, and it keeps going on.” “Spirit” has been recently featured in Lovelace, and on This is the End, rubbing elbows on a soundtrack with Snoop, Funkadelic and Whitney Houston. It wasn’t just the lyrics that helped the song sell two million copies. Greenbaum came up with an instantly recognizable guitar riff that has stood the test of time, one that can’t be easily duplicated. He didn’t use a pedal for the psychedelic space noise that opens the song. A friend built a fuzz box directly into the body of Greenbaum’s Telecaster, and the guitarist ran it through a vintage tube amp, a Fender Twin Reverb. “And I finger picked,” Greenbaum says, “and that sort of kept the notes ringing a bit more.” He says guitar techies have speculated for years that he flipped the speakers or did some other studio hoodoo, but he says it ain’t so, it was just “a simple little fuzz unit about 3 inches long, stuck a hole in the guitar, put in a switch and battery.” He says its virtually impossible to duplicate the sound of that fuzz box: “Unfortunately, it broke, and he’s not to be found. so it’s like, it’s too bad,” he says with a sarcastic laugh that lets you know he doesn’t think its too bad at all.